Want your website to be on page one of every search engine? Improve your site rankings in all the major search engines with Search Engine Visibility. search engine visibility by superlative Promote your business on Google®, Yahoo!®, and Bing® to increase traffic and get more customers. New customers are out there looking for what you have to offer but which site will be find first, yours or your competitors? 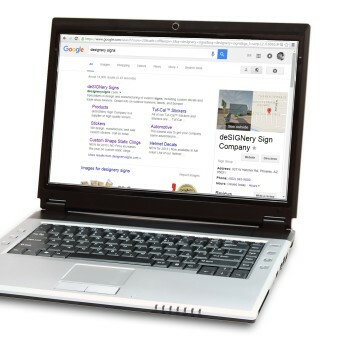 Customers use search engines such as Goggle or Yahoo to find what they’re looking for. So a high search engine ranking is vital to give your site a jump on the competition, and that puts you into an ideal position to increase traffic and sales. That’s why search engine visibility is essential. Whether you are new to the Internet commerce or an established pro looking to grow, search engine visibility can increase your site’s traffic and sales. It’s easy, affordable and fast. Search engine visibility leads you step by through actual examples of search engine optimization, hot tips and powerful techniques, best practices and ranking methods. Search engine visibility has it all but search engine visibility does and just don’t drive you traffic and increased sales. It also helps to monitor, benchmarks and adjust your sites engines key data. You will know at a glance which search terms produce strong results and learn to make an even stronger. Search engine visibility even submits your site to hundreds of search engines and online directories automatically. Now you can compare your site to your competitors and pin point the top sources of traffic. So are you ready, then get discovered, improve your search engines rankings and maximize your traffic in sales? Get search engine visibility today! Search Engine Visibility is an easy to use tool that helps boost your rankings on Google, Yahoo!, Bing and 100+ other search engines. Submitting your Web pages is as easy as one click of a button! Our Google Keyword Generator helps you select relevant keywords and phrases to add to your site to attract qualified traffic. It's easy to select the right keywords using our score-based recommendations. Find out what terms people use to search online for the products and services you provide, and how competitive those terms are. You'll use these keywords and phrases to prepare your site for search engines. Our Suggested Topics Tool makes suggestions on what kinds of articles to include on your site. Add your recommended keywords to the text throughout your site. Choose from the words and phrases we suggest or add your own. After you make your changes, run the analysis tool again to track your progress. Next, Standard Search Engine Visibility creates a site map – basically a list of links to every page on your website – so search engine "spiders" can quickly index your Web pages. The next time a searcher types in a keyword that matches those on your website, the search engine "remembers" your site and includes it in the search results page. Standard Search Engine Visibility makes it easy to submit your website to more than 100 popular search engines, including Google®, Yahoo!®, Bing® and many others. A single click is all it takes. Monitor your rankings, see which search engines send you the best traffic – you can even keep an eye on your competitors' rankings.